available for both large and small businesses. 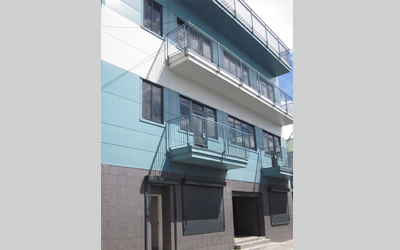 Contact us today to find out more about our portfolio of commercial properties in Dominica, or view the properties below. Centrally located in the heart of Roseau’s commercial district, adjacent to the Cruise Ship Pier and Ferry Terminal, the Renaissance Building is Roseau’s newest and most exciting commercial development. 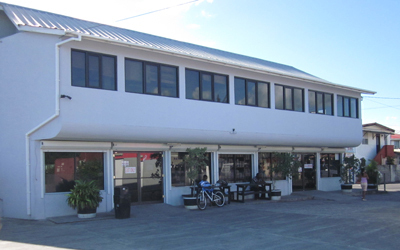 The Canefield Building offers modern, well-located, edge of town commercial space with ample parking. Positioned close to Canefield Airport and on the two main highways into Roseau. 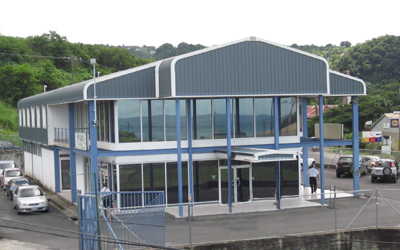 Conveniently located on the bank of the Roseau River, next to the Texaco Service Station, the Riverside building offers modern, well-located commercial space, ideal for either retail or office usage. 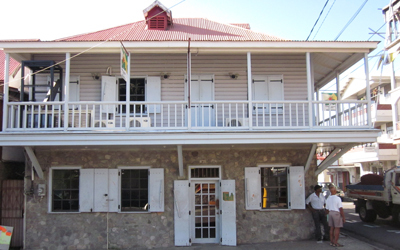 The Building offers good-sized and centrally located office/retail space in one of Roseau's Heritage buildings.